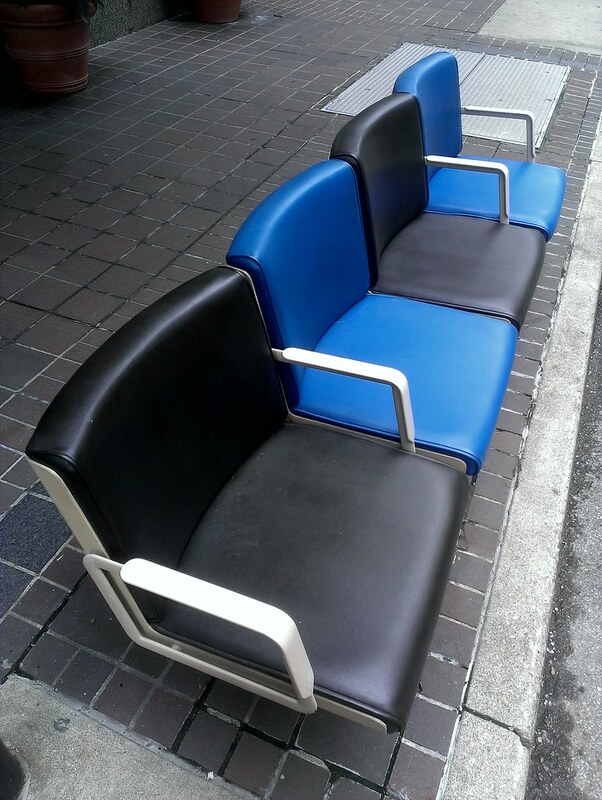 I noticed these rather out-of-place looking seats on Vine Street for the first time today. I don't ever remember seeing them before. Kinda odd.